Just as you love a summer hike to see a waterfall, you will also love to swim in your own Angeline Aluminum Above Ground Pool from Blue Cascade! 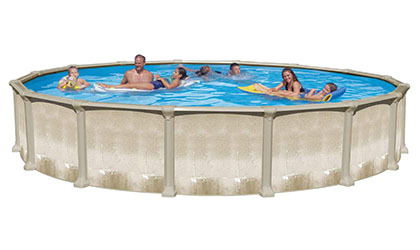 The Angeline aluminum pool is able to handle inclement weather, is a rust-free alternative to steel pools, and is a long-term value at a reasonable price. 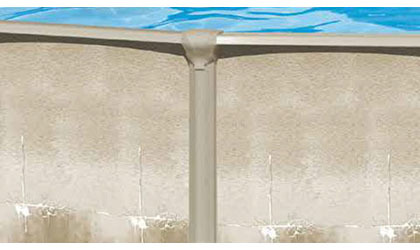 The aluminum pool wall is lighter in weight when compared to steel walls. 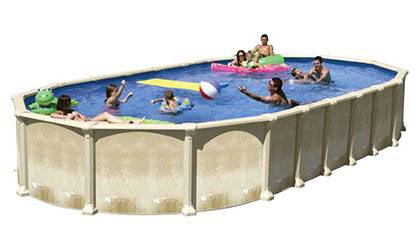 Every Angeline aluminum above ground pool is “Made in the USA”, features a 50 Year Limited Warranty with 3 Years Full Coverage, and a Vinyl Works deluxe pool liner— also manufactured in the United States. Get outdoors and into your Angeline pool, and love summer swimming for many years to come! The Angeline is named after Angeline Falls located in King County, Washington. Flowing from the outlet of Angeline Lake, this perennial waterfall plunges from a height of 450 feet and is more than 120 feet wide. Love summer? Hike to a waterfall and relax in the great outdoors! Just as you love a summer hike to see a waterfall, you will also love to swim in your own Angeline Aluminum Above Ground Pool from Blue Cascade! 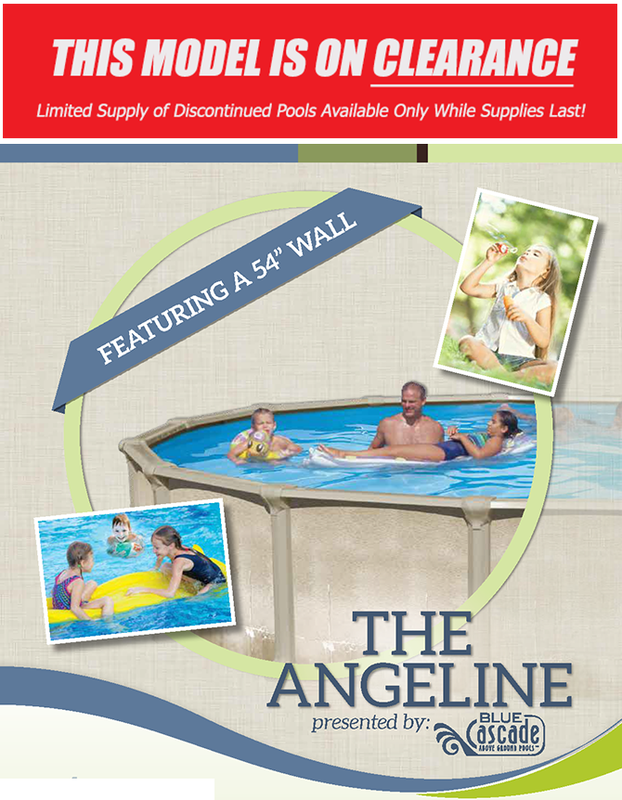 The Angeline aluminum pool is able to handle inclement weather, is a rust-free alternative to steel pools, and is a long-term value at a reasonable price. The aluminum pool wall is lighter in weight when compared to steel walls. 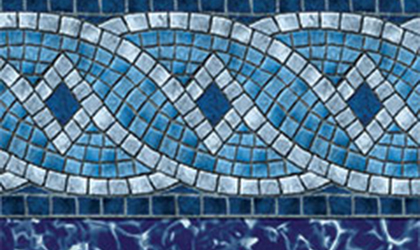 Every Angeline pool is “Made in the USA”, features a 50 Year Limited Warranty with 3 Years Full Coverage, and a Vinyl Works deluxe pool liner— also manufactured in the United States. Get outdoors and into your Angeline pool, and love summer swimming for many years to come!